KUALA LUMPUR (Apr 27): Global retail banking industry information technology (IT) budget, including in Malaysia, will rise 4.3% year-on-year to reach US$131 billion this year, according to Australia-based independent telecom analyst firm Ovum. It said the figure will rise to US$157.6 billion by 2019. In a statement today, Ovum said this would be driven by improvements in the global macroeconomic outlook, which had caused banks to focus on growth, rather than cost reduction and compliance-centric projects. Ovum said that in 2015, global spending would be led by Europe and North America, but growth will be most rapid in Asia and Middle East and Africa (MEA). It said spending by banks in the US and Canada would reach US$505.5 billion in 2015, a 4.7% increase from last year. The analyst firm said this was driven specifically by the US' economic growth. It said due to instability issues in the eurozone, budgets in Europe would only rise by 3.1% in 2015, driving total spending to US$42.4 billion. Ovum said this did not mask the disparity between different countries in the continent though, as Europe would still account for 32% of global retail bank IT spending. It will be Asia and the MEA though that will see the largest growth this year. Ovum said total budget in the former would reach US$27.5 billion in 2015, a rise of 5.6% from 2015, while MEA will grow by 5.3% reaching US$2.4 billion. "In Asia, this growth will be driven by the continued development of the banking sector in India and China, with Malaysia being another country on the rise. "In the Middle East, the fluctuations in oil prices will act as a brake on the pace of growth, but there will still be solid levels of IT investment," it said. 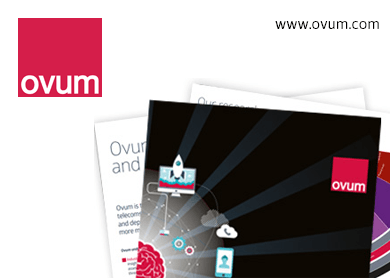 Ovum said the trend of investment in digital channels will continue in 2015. It said mobile banking would see the largest increase in budgets, with a growth of 7.3% over 2014, seeing total spend reach US$4.2 billion this year. It said online banking would rise by 7%, but its total spending will be higher than mobile, reaching US$10.8 billion in 2015. Ovum said that as the industry's focus on sales and servicing remains strong, multi-channel integration and customer information systems (MI/CIS) spending would see a global growth rate of 5.6%, pushing this year's total to US$7.3 billion. Ovum Financial Services Technology practice lead Kieran Hines said data and analytics would be key to the developments in digital channels. "Many markets are witnessing their second or third wave of mobile and online banking platforms, with driving revenue becoming the prime priority. "In the next round of major platform developments though, it will be the use of data analytics in real-time that will act as the key differentiator," said Hines. Hines said this change would be reflected by the spending growth in core platforms. He said that in 2015, this would remain a critical investment, with retail banks spending US$22 billion on core banking projects. He said this was an increase of 4% from 2014 and it will continue to grow, reaching US$26.2 billion in 2019. "In the rush that will undoubtedly occur to deliver front-office innovation to drive growth, banks must resist the temptation of short-term developments for quick revenue wins. "Customer expectations will evolve and banks must ensure back-office agility is retained, meaning it's able to deliver future innovations. "This means any new developments must be delivered according the enterprise architecture principles. The benefit of long-term planning, particularly in regards to legacy modernisation, will pay dividends for banks in the coming years," said Hines.